There are many horror stories of priceless items getting damaged beyond repair or even lost, not to mention the insurances which are not worth the paper they’re written on. What adds even more fuel to the fire is the availability of cheap packing material which can seriously reduce the safety of your consignments. Don’t panic, though. It’s possible to ship your items quickly and securely no matter the size, shape or value. This post will look at the steps you can take to ensure your deliveries get to their destinations on time and in pristine condition. We will also look at the tools and services you’ll need to achieve this. This might seem like the most obvious thing to start with, but you would be surprised by how many people simply do not use the best packaging available. Many high-priced goods are damaged in transit simply because they are not wrapped well enough. If you are shipping high-value goods that are fragile, it’s imperative you invest in a solid wrapping material such as industrial air bubble wrap or thick packing paper. Bear in mind that many customers are now looking for environmentally-friendly companies, so the eco-friendlier you can get your packing materials, the better. Biodegradable packing peanuts are a good option. 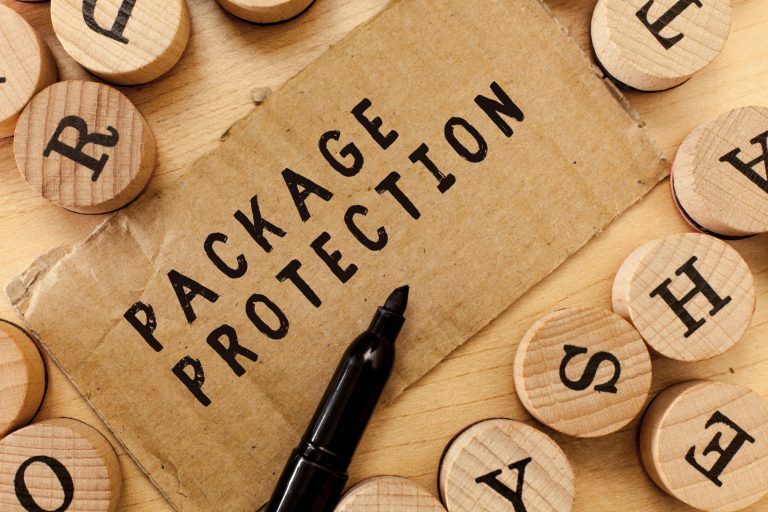 Use sturdy packaging to ensure your packages arrive at their destination damage-free. This becomes especially important if you’re sending valuables overseas or on long transits. Many people will assume that a sturdy box and some parcel tape will do the trick, but that’s often not enough. High-value goods can still be damaged, lost or even stolen due to the way they are packaged if sent through the usual postal or carrier services. It’s recommended you use new boxes instead of reusing old boxes for increased durability. Use a packaging supplier to purchase your boxes from – they’ll be shipping-ready and you can often get discounts for bulk orders. Finding a supplier that will add your logo to the packaging is a bonus that gives your brand a professional touch. Use a high-grade, wide-banded adhesive tape to seal up the box. Then secure it in place by doubling up the layers and crossing the tape over itself. If you’re sending items internationally, using an over-the-counter mailing service will be advantageous as they are specialists in packing goods for secure travel. They can also advise you on the type of packaging you should be using an can help with customs paperwork. When you have expensive items to transport via a large carrier, it’s vital you provide all the necessary details so your package reaches its destination safely and on time. By accurately and clearly printing addresses on the package, you can help to minimise loss. Use a large, clear font and mark the returns address on the underside of each package. There may be regulations when it comes to shipping high-value or sensitive goods to certain countries especially if the items you are shipping are hazardous, fragile or perishable. This may also mean there’s extra paperwork to complete. Make sure everything is adhered to avoid additional fees, failed delivery or return to sender charges. A professional broker that specialises in international deliveries will know the regulations regarding the shipping of your goods and will be able to advise how best to proceed. One of the major drawbacks of sending goods via the large carriers is the insurance limitations. If something goes wrong, it can be extremely difficult to claim unless you had purchased enhanced compensation. Insurance options can differ from service to service, so finding the one that’s right for you is vital. Some services may only offer basic up to a certain value and that may not be enough to cover all that you are sending. Always check the small print! One of the easiest ways to ensure safe delivery is to find a carrier that offers tracking. This way you can monitor your goods and know they have reached their destination safely. Getting a notification confirming delivery of each package means you don’t need to worry about contacting the recipient to check if they arrived arrived safely. Hiring a dedicated courier gives you that extra level of reassurance that your parcels are in the safest of hands. Here at Same Day Dispatch Services, every single parcel to us is valuable. We offer customer service that goes above and beyond what other postal or carrier services can provide as well as straight-forward insurance options and GPS tracking. We can tailor our delivery service to meet your needs by offering same-day delivery throughout the UK and across the Channel into Europe. If you’re interested in our courier services, get in touch with Same Day Dispatch Services today – Tel 0800 999 1010. We’d love to discuss the options available with you and find the perfect service for your business. This entry was posted on Friday, March 16th, 2018 at 7:41 pm	and is filed under Parcel Delivery, Sameday Couriers. You can follow any responses to this entry through the RSS 2.0 feed. You can leave a response, or trackback from your own site.